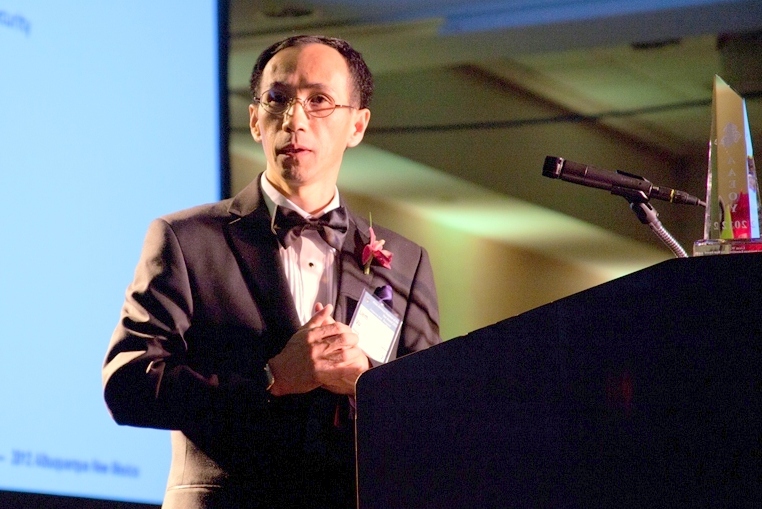 Liem W. Vu, an alumnus of The Henry Samueli School of Engineering at UC Irvine, was named “Asian American Executive of the Year” by the Chinese Institute of Engineers – USA at the annual Asian American Engineer of the Year Award Conference in March 2012 in Albuquerque, N.M. Vu, a senior manager with the C-130 Avionics Modernization Program (AMP) – Mission System Integrated Product Team (IPT) within the Boeing Defense, Space & Security division of The Boeing Company, was given the award for his sustained leadership and engineering contributions in the development of avionics, software, weapons systems, test facilities and training simulators in support of military aircraft programs and combat systems. Vu’s career spans more than 30 years at The Boeing Company and McDonnell Douglas Corporation. He led the development of simulator systems and simulation software for numerous programs, greatly contributing to the success of the C-17 Globemaster III airplane, the Future Combat Systems program for the U.S. Army and the C-130 AMP program. Born in Vietnam, Vu came to California as a refugee with very limited English. He earned B.S. and M.S. degrees in electrical engineering in 1981 and 1983, respectively, from the Samueli School. Founded in 1917, the Chinese Institute of Engineers - USA (CIE-USA) is a non-profit professional organization of Chinese-American engineers, scientists and other professionals. The objectives of CIE-USA are to promote Science, Technology, Engineering, and Mathematics (STEM) in all communities across the U.S. and provide recognition to Asian-Pacific American professionals at the national level. The Asian American Engineer of the Year Award Conference, a sponsor-supported event, is a forum for corporate and government entities to recognize outstanding Asian American professionals in science and engineering for their technical achievements and public service.